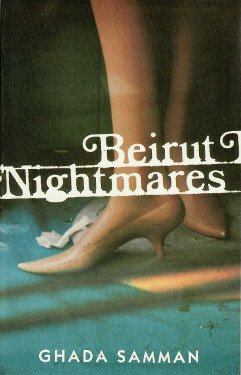 Beirut Nightmares is set at the height of the Lebanese Civil War. The narrator, trapped in her flat for two weeks by street battles and sniper fire, writes a series of vignettes peopled by an extraordinary cast of characters, some drawn from the amazing waking world and others living only in the sleeping minds of those suffering in the conflict. A pet shop next to the house is filled with terrified animals; the narrator visits them every night and finds that their sufferings parallel those of her innocent and defenceless neighbours in the city streets. A display in an abandoned shop window comes to life as the mannequins step out and join life in the cafes before coming to a terrible end. Beirut Nightmares is a vivid account of the engulfing experience of civil strife, and an exploration of its effects on a people and their country. It exposes the absurdity of the conflict about religious differences; it reveals the hidden causes in a society driven by privilege and it probes the sense of disorientation and disintegration, the loss of trust and alienation which came from the war. First published in Arabic, Beirut Nightmares has been published in Polish, German, French, Italian and Russian. Translated by Nancy N. Roberts.